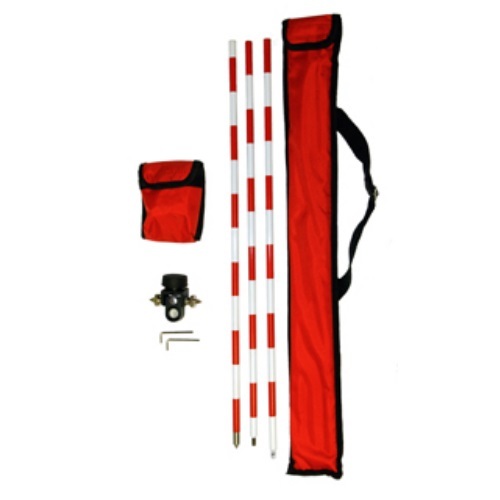 3 section pole (screws together to 1.75 Meters) with red and white stripes every 50 mm. A stainless tip which is 25 mm long. The prism mounts on the pole and can slide and lock anywhere along the pole.